Defenders of the Realm! 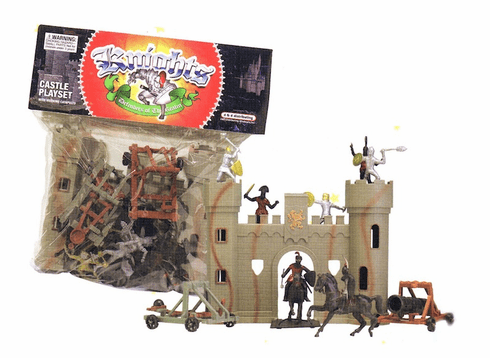 This Knight Castle Playset is great for reenacting seiges and famous wars! Includes a fortified castle, soldiers, horses, and even working catapults! Colors may vary.